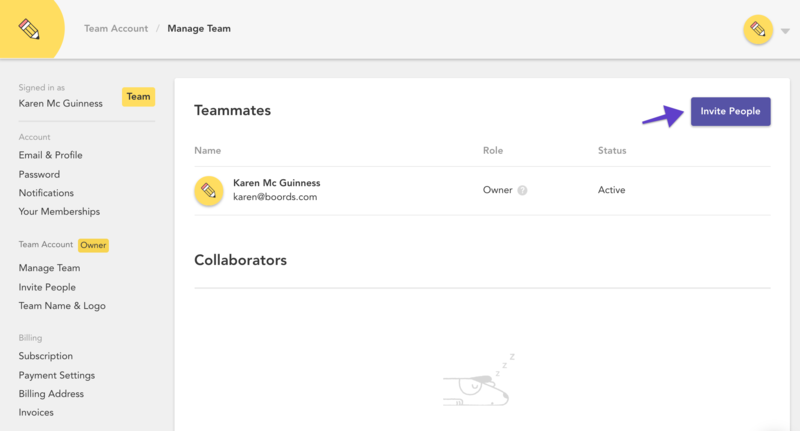 If you've chosen a Team Plan, inviting your teammates to work on projects with you is just a few clicks away! 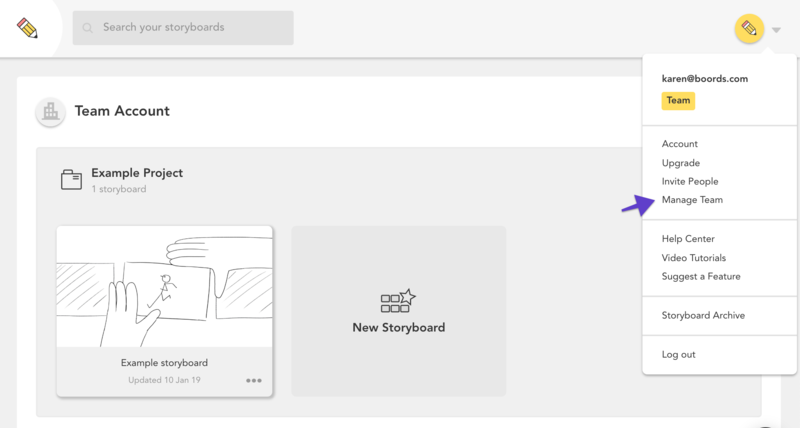 First, click your profile image in the top right-hand corner of the Project Dashboard. From the dropdown menu, select Manage Team. 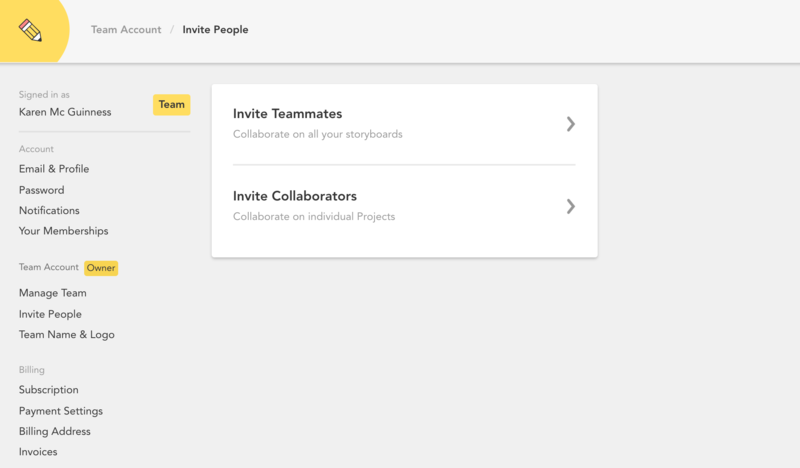 Here, you can decide whether you want to add your team-member as a "Teammate" or as a "Collaborator". Both will use a seat on the Team account, but Teammates have more functionality and access than Collaborators. To learn more about the differences between them, take a look at this article. 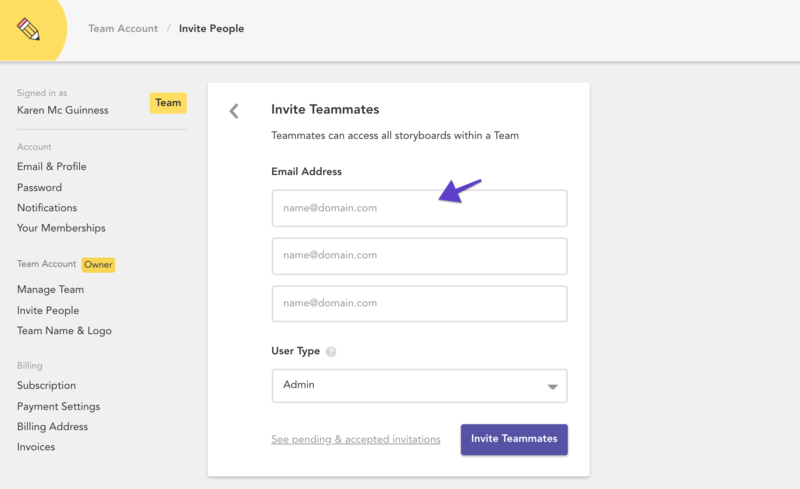 To send an invitation to a Teammate or Collaborator, enter their email address into the text box and click Invite Teammates/Collaborators. 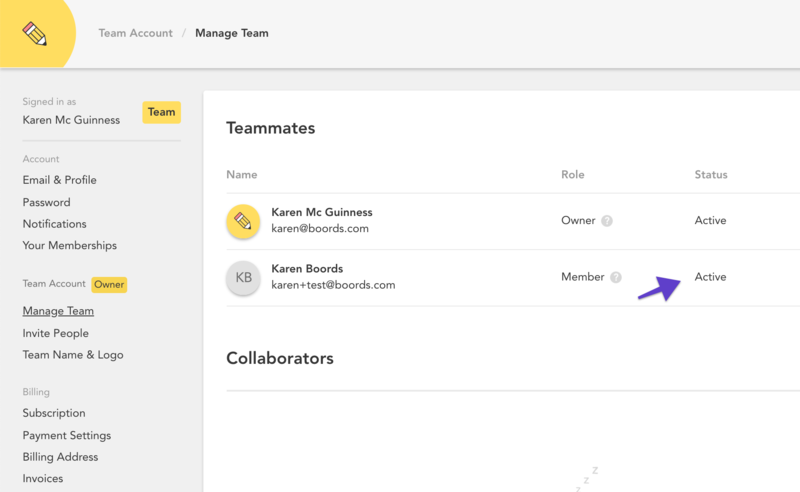 If your team-member doesn't already have a Boords account, they'll be asked to create one before joining the team. 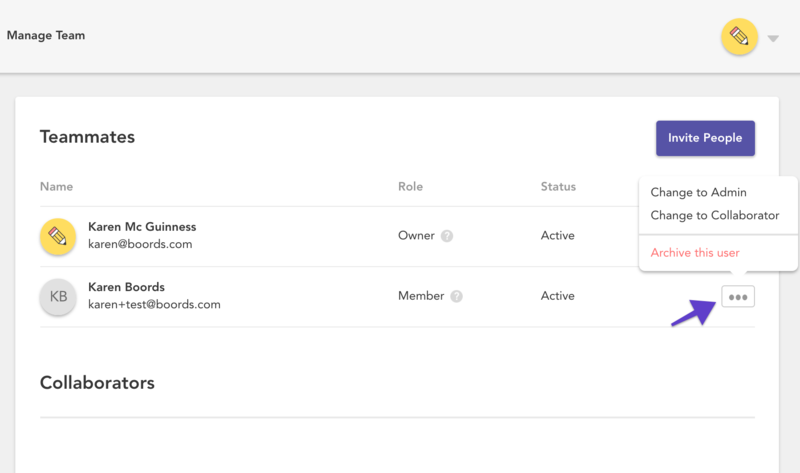 Once your Teammate or Collaborator has accepted the invitation, their status on the Manage Team page will change to Active. If you need to change their role on the Team, click the menu button next to their name and select the new role you'd like to give them. You'll also be able to remove them from the Team here, if necessary. ☝️Note: For more information about the various Team roles that are available, take a look at this article.